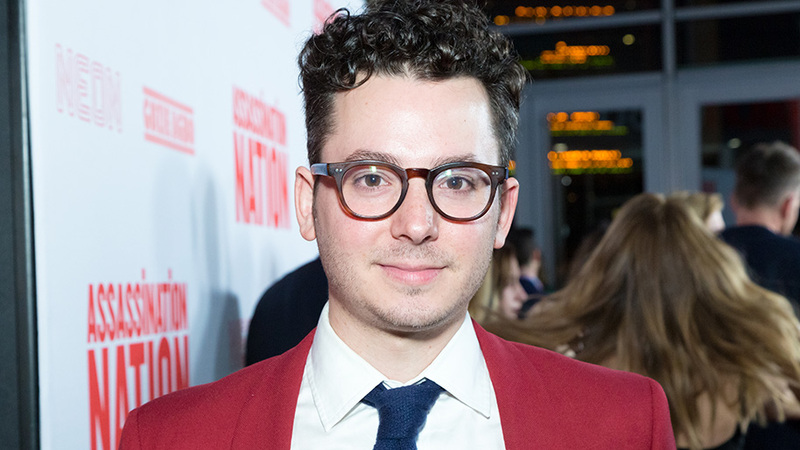 When director and writer Sam Levinson approached composer Ian Hultquist with creating an unexpected score to match his latest project Assassination Nation, Hultquist was ready to meet the challenge, which meant months of experimenting with a wide spectrum of genres to find that unique sound that would match the genre-bending tone of the movie. Assassination Nation follows high school senior Lily (Odessa Young) and her three best friends who live in a world of selfies, emojis, snaps, and sexts. But when their town of Salem is besieged by a massive data hack, resulting in half the citizens’ private info spewed into the public view, the community descends into anarchy. Lily is targeted after being falsely blamed for the hack, and bands together with her friends to survive a long, blood-soaked night. 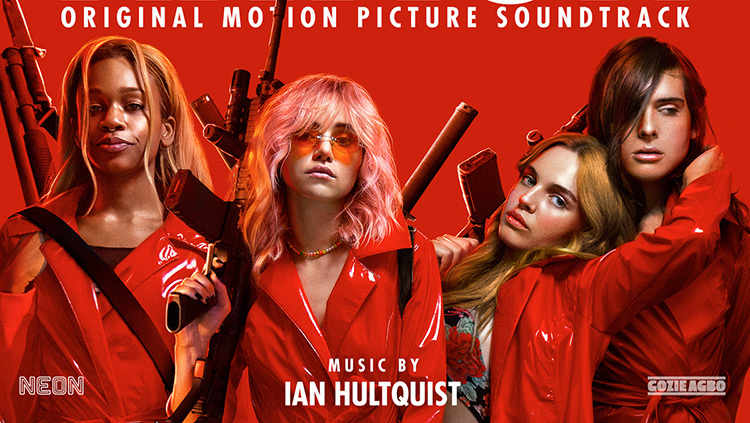 I spoke with Hultquist over email about what inspired the score, how Isabella Summers (from Florence + the Machine) influenced the final product and his thoughts on how movies like Assassination Nation have a few messages to share. MANDATORY: Sam Levinson asked you to come up with an unexpected sound to match Assassination Nation. How did you initially go about finding a sound that fit the film? Ian Hultquist: Sam and I started with a completely blank slate, where the only rule was “there are no rules!”. We spent months trying out different ideas, to see what felt right. This film is very much a unique animal, and we wanted the score to follow that creativity. At one point the entire film was (scored) as if it were a Spaghetti Western! Even though that obviously didn’t stick, there are tiny hints of it still hidden in the final score. I think that just adds to the weirdness of the whole thing. In tracks like “The Life & Texts of Principal Turrell” and “Home Invasion,” you can definitely hear the influence of thriller and horror. Would you say that you were mainly inspired by those genres, or was it important to you to have a wide spectrum of genres to play with? When I first read the script, those were definitely the genres that jumped to mind. However, the film covers so much more ground than just one genre. We wanted it to be all-encompassing. I think in the end, a lot of the songs that are placed in the film carry forward the teen drama, romance stuff and my score ends up kind of grounding the audience back into reality. I like how the two mediums (song vs score) toy with each other throughout the film, and think it feels rather fitting. It’s kinda like how the Internet toys with the characters in the story. Were there any other soundtracks or projects that inspired your score? We listened to so much music when first getting started on this project. Everything from the original Scream soundtrack, Ennio Morricone’s incredible western scores, Cliff Martinez’s dark synth stuff. We also branched out away from only film scores and threw a lot of pop songs around as inspiration. There was some stuff by AIR, Kanye West, Lana del Ray even Migos! That’s where those trap beats started to come into play. What was it like collaborating with Isabella Summers from Florence + the Machine? Isabella and I didn’t actually work together one-on-one for this project. However, we do know each other from my old touring days. My old band (Passion Pit) did some festival dates with Florence, so we met years ago in my former life. Sam sent me her amazing track that she wrote (“Rage”), and it ended up inspiring us to go down a new path with the score. Each new piece of music we would send to each other opened up a new door to go through, and I think Isabella’s had an enormous amount of influence on where we ended up! How did the story and style of the film influence your work? Working on this film really pushed me to learn how a score can be fluid, and always changing. We started experimenting with this method of slowing down, and degrading audio but still somehow keeping it musical. A lot of the final cues are actually pieces of music that I had written, and then we slowed down to the point where it sounds like the original cue is being torn apart. It’s aggressive and kinda hurts to listen to, but that’s how we knew it was right for the film. In your opinion, do you think dark comedy thrillers like Assassination Nation are more significant as just violent entertainment or do they work as films with important messages on timely topics? I absolutely think Assassination Nation is a film with a message. A few messages actually! I’ve always learned (from) cinema, especially when I was growing up as a young kid. Yes, I understand how on a simple glance someone might assume AN is just a quick slasher film or something, but nearly everyone who has watched the film comes out feeling empowered, excited or angry! (It’s not for everyone). But you can’t deny that it’s a film that is saying something, because the audiences are having such a strong reaction to it. It’s funny when I first read this script, it was Fall of 2016. Obviously a really weird time for America. I felt like the script worked so well then, but I was worried it wouldn’t feel as relevant once it finally came out. Obviously, I was mistaken, and I think this film now speaks truer today than ever before. 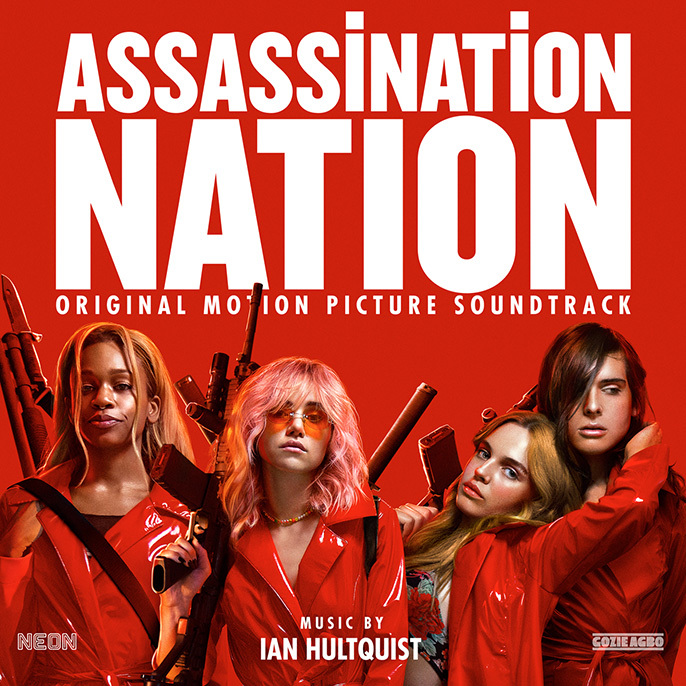 The Assassination Nation: Original Motion Picture Soundtrack (Lakeshore Records) is now available on all digital platforms.